An assessment of a different kind was recently carried out at Wrexham Glyndŵr University’s campus after a team of sniffer dogs were put through their paces on the site. The dogs and their handlers, from the National Canine Training Centre, were undertaking an assessment of competence for their NASDU (National Association of Search Dog Users) Certificate. The centre chose to use the Wrexham campus due to links they have developed with the University’s Forensic Science academics. The day involved dogs and handlers using several areas of the University, including a dedicated ‘crime scene’ location which is more usually used to assess students on the Forensic Science course. 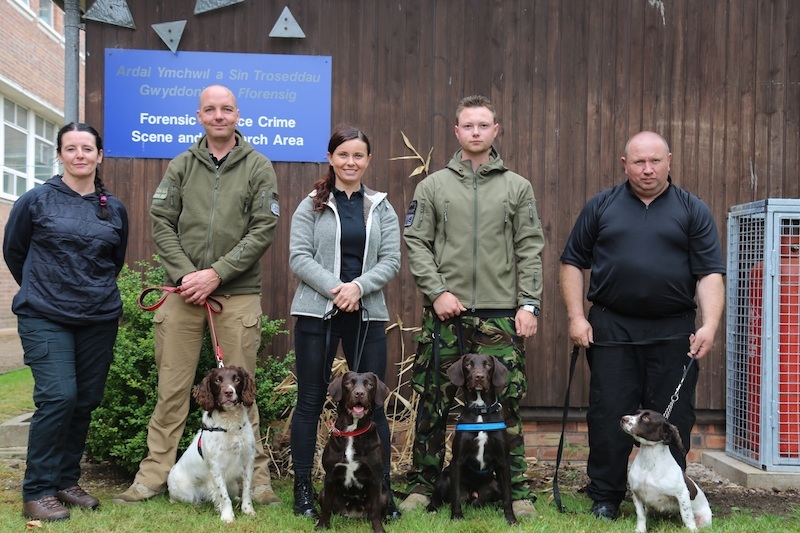 Lecturer in Forensic Science, Amy Rattenbury, said: “The assessments of the dogs and handlers have to be completed every 12 months to ensure that the search teams are still effective. 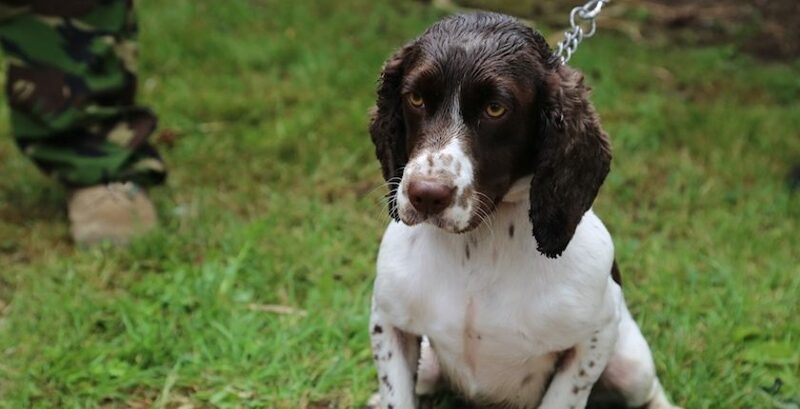 Target scents, which included small samples of explosives which the dogs have been trained to detect, were hidden in the University’s crime scene house and surrounding grounds for the teams to find. “Dogs have many applications within forensics and knowledge of their training and handling is important for all forensics students, especially those who want to deal more specifically in search and recovery. “With the current terrorism threat level in the UK still at severe, research and knowledge of specialist forensic techniques that are useful in preventing and responding to this type of crime are integral to graduates from forensic courses. Glyndŵr have not only welcomed NCTC handlers and dogs for their own assessments, but has also welcomed handlers to give talks and workshops, hosted conferences featuring handlers – and built up close research links with the centre. Amy added: “Steve Dineley, who spent 11 years with the military and now specialises in canine search, has given talks on the training of drugs and explosive detection dogs and Justyna Galazka, a highly experienced expert dog handler, has run search demonstrations with her dog Trooper. 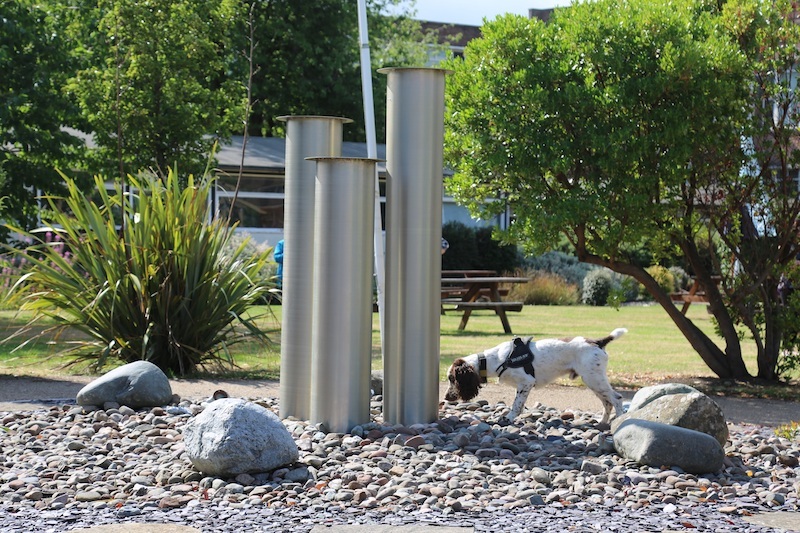 “Over the last academic year we worked closely with the team in order to undertake research in to the accuracy and reliability of explosive detection dogs working with a series of different explosives and with single and multiple targets. You can find out more about our BSc (Hons) Forensic Science degree here.